To build lifelong relationships, based on the principles of serving others. At Mike Counsil Plumbing, we have a dedicated team of plumbing technicians that functions as part of the Bay Area community and provides a full range of plumbing services to residential clients. Though we are a family-owned company, we have the resources to continue to grow and serve the region while staying current with evolving trends and technologies to keep up with each client’s needs. We love people, and that shows in the work we do every day. It’s important to feel confident and comfortable with your-in-home service provider. Mike Counsil Plumbing’s principle of serving people is the foundation of not only meeting our client’s expectations, but exceeding them. From the moment you open your door, you will be pleasantly surprised by the essence of our presentable and friendly service technicians. Our technicians have all been background checked, drug screened and professionally trained. We understand that being invited into your home is a privilege and it is our mission to build a lasting relationship built on compassion and trust. Exceptional Customer Service – It’s not hard to take pride in your job when you can see the satisfaction of customers day in and day out. 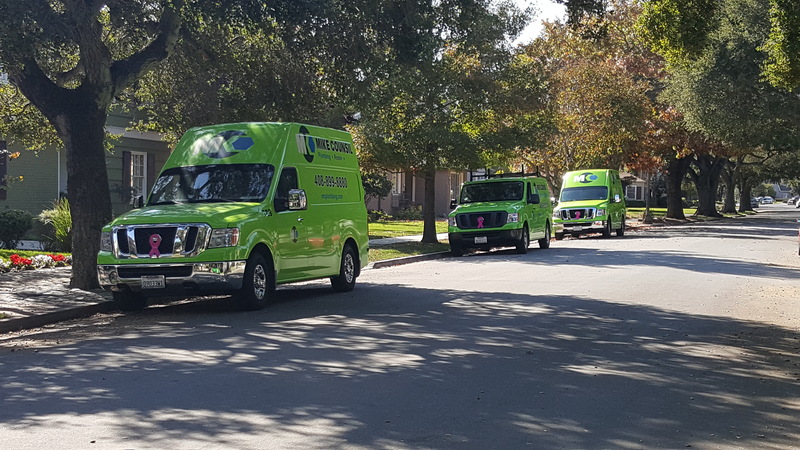 Because we put a strong emphasis on customer service and support, our clients are happy to see us when we answer their service calls. In addition, we strive to maintain a professional appearance and presence with every job, so our clients can feel more confident in the work we do—even on the most challenging installs and system replacements. Preparedness – Our goal is to always stay prepared, whether that means seeking new training for our employees, investing in new technologies, or being prepared to respond to emergencies when our customers need us most. Preparedness also extends to our approach to each job, as we will take the time to accurately assess each repair and prepare the area to limit messes and mishaps along the way. Superior rating at the Better Business Bureau. Placement in AngiesList.com Hall of Fame. Silicon Valley Chamber of Commerce recognition. Positive ratings on Google, Yelp, Angie’s List, and Home Advisor.